Rating output voltage Auto voltage adjustable function: When the voltage on the grid network changes, output voltage can automatically remain constant. Standard function RPM trace, deceleration pause, PID control, auto speed compensation, auto voltage regulation (AVR), 8-step run, power (torque) control, frequency leap, simple PLC, UP-Down control, swing run, two-loop signal overlapping, auto reset, timer, flip-flop non-stop. 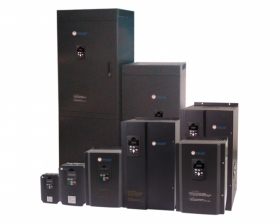 Standard protection Over-current, over-voltage, under-voltage, over-temperature, phase reversal and overload. Setting Function, data, output current, output power for power factor angle, input power, power coefficient, timer time. Run Output frequency, setting frequency, output current, input voltage, motor RPM, forward/backward turn, output power limit, conversion of output frequency and RPM, linear lead voltage, output voltage, temperature inside frequency inverter. Fault Over-voltage, under-voltage, over-current ,over load over-temperature, over-voltage loss, data protection damaged, voltage limit, fault run, history fault. Environment Installation location Indoor, altitude less than 1000m, dust-free, no corrosive gas, no direct sunlight. 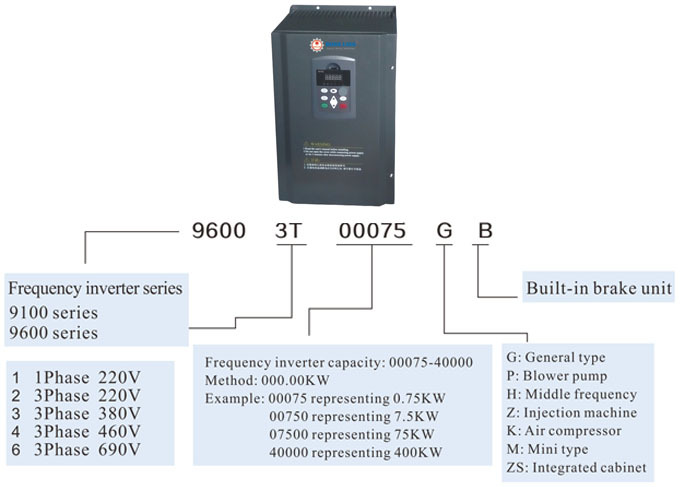 9100 series frequency inverters developed for the customer requirement , and adopt the state-of-art control to implement high torque, high accuracy, and wide speed regulation, so that can meet the requirement for the general frequency inverter. The practical PID regulator, the simple PLC, the programming input/output terminal control, remote control with synchronization, and control by pulse frequency are provided for special locations. 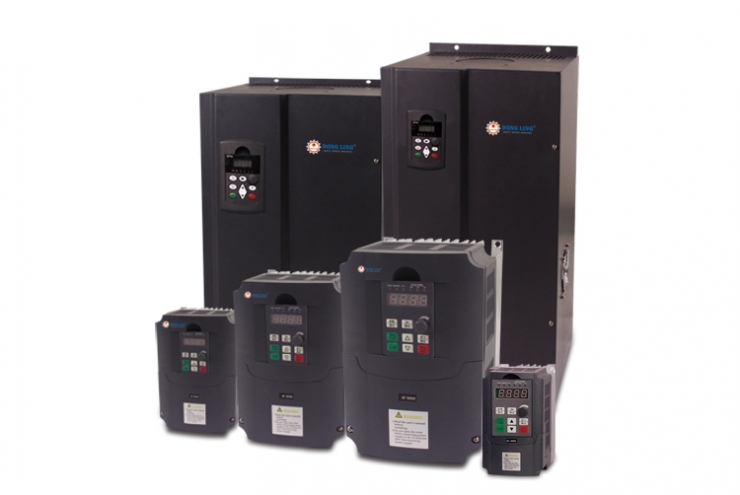 The main purposes are used at the locations for the customized frequency inverter and special frequency inverter. The standard frequency inverters are 1P 220V 0.4kw-2.2kw only. Enhance the counting function with photoelectric switches to implement the complex auto run. The eight-step speed can be set freely by multi-stage control. Install one main pump and many auxiliary pumps to constantly supply water, and increase the function to detect the channel fault. 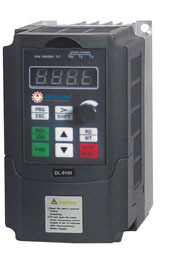 Detail electrical parameters and accurate match to enhance the device power factor for the device. Provide the fault alarm testing item to easily eliminate the faults. The following table is the guidance data, where a user can select the resistance and the power according to the actual conditions (The resistance must not be less than the recommended value in the table, but the power can be increased.). The brake resistor is selected according to the power generated by the motor in the actual applications, related to the system inertia, the deceleration time, the energy of potential load, depending on the customer requirements. The larger system inertia is, the shorter deceleration time is needed; the more frequent brake is applied, the larger power of the brake resistor is selected and the resistance is smaller. During the brake, the recycling energy from the motor is almost consumed on the brake resistor. 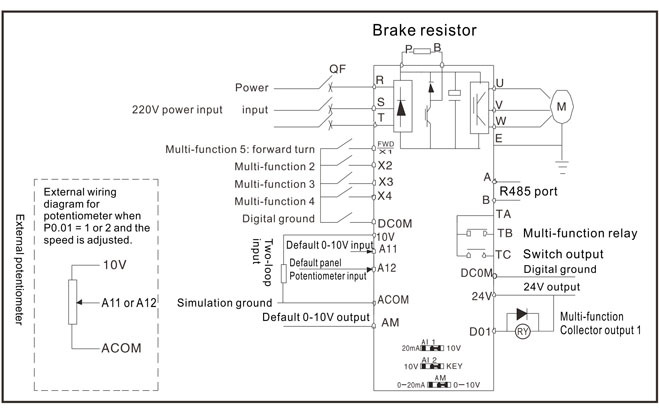 In theory, the power for the brake resistor is consistent with the brake power. 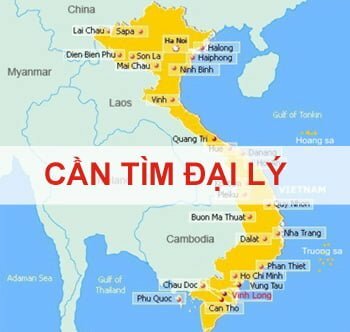 However, derating is considered as 70%. The discharge cycle is defined as 10%. The brake assemblies are used to consume some potential or energy fed from the load with larger inertia to the frequency inverter, which can avoid inverter trip owing to high voltage. They can be applied for the load with larger inertia and frequent brake or quick parking. The brake assemblies belong to peripherals. The brake unit is built in the inverter (0.75-18.5). 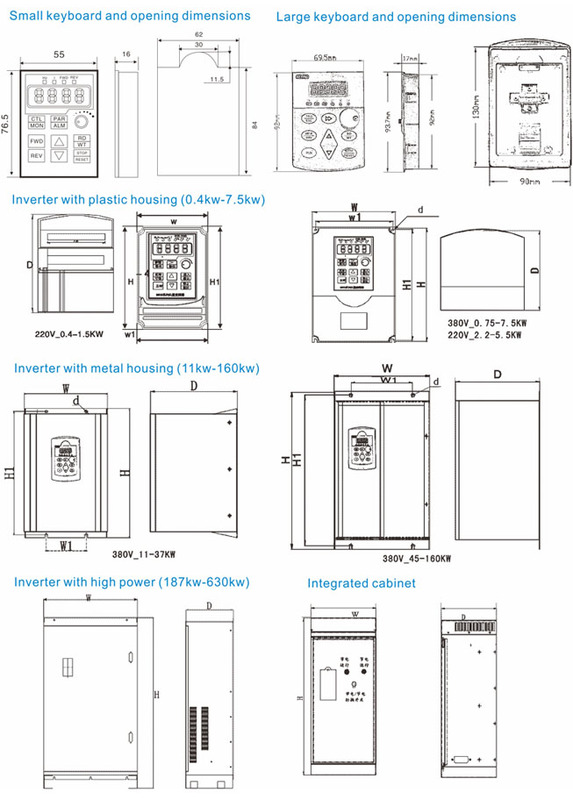 If the brake function over 22kW is required, please order the inverter with the brake. Don’t directly connect the discharge resistor to the P or N terminal. If the inverter terminal is P or N, the discharge block must be additionally installed. If the brake assembly over 93KW is connected to the P or N terminal, please remind us before ordering.